Thousands of drivers put themselves and others at risk by using their cell phones while driving. Do you use your phone while driving? If so, you are among the thousands of drivers who also indulge in this dangerous habit. Zendrive, a company that is dedicated to improving driver safety, conducted an in depth study consisting of 3.1 million drivers between Dec 2016 and Feb 2017. During the study period, participants made 570 million trips and traveled 5.6 billion miles. This study revealed that drivers used a cell phone during 88% of the 570 million trips and for every one hour driven, 3.5 minutes on average were spent on a cell phone. 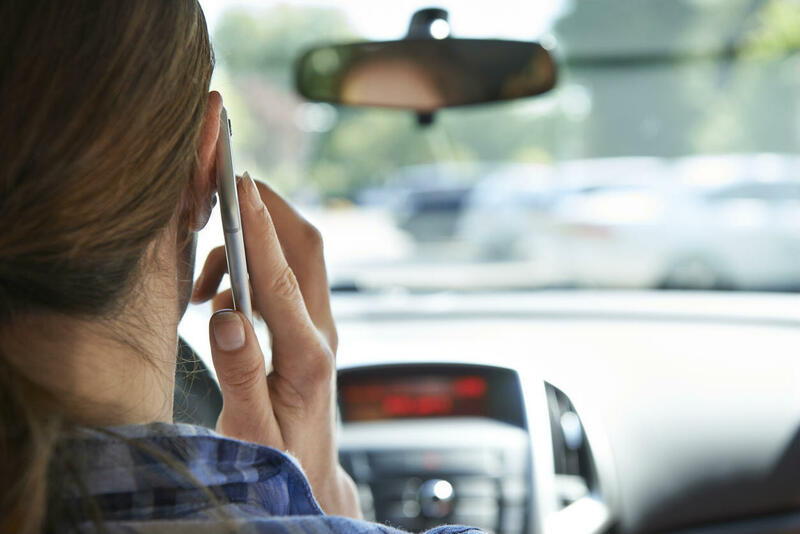 Our St. Louis accident lawyer explains that while the term, “distracted driving” does not simply mean the use of cell phones, it is the most common distraction. Distracted driving relates to anything that takes a driver’s attention off the road. This could mean things as simple as trying to find the best radio station, putting on makeup, or trying to eat a meal. To measure the incidence of distracted driving in the United States, Zendrive continued their study by ranking all 50 states by the extensiveness of distracted driving in each state. The following is a list of Zendrive’s top ten states they found to be the most dominant in distracted driving. The study also revealed that the majority of states with laws against hand held phones ranked low on the list, thus indicating a link between cell phone ban and distracted driving. The National Highway Traffic Safety Administration (NHTSA) found that in 2015, 391,000 Americans were injured as result of distracted driving and 3,477 distracted driving deaths occurred. Missouri law insists that all drivers “exercise due care” by obeying the speed limit and being conscious of the presence of pedestrians and road objects. This law is to prevent drivers from endangering life, limb, or property. When a driver causes injury or property damage due to distracted driving, he/she is liable to pay the resulting damages. Distracted driving can be proven in various ways. The first is the confession of the negligent driver explaining their fault, offering their apologies, and taking full responsibility of the crime committed. The second is reliance on a third party, such as an eye witness. The witness could come forward and tell about the negligent driver texting, making a phone call, or doing any other action that resulting in distraction. In the absence of any witness or driver confession, cell phone records can be gathered via subpoena if the case proceeds to litigation. These records are often fool proof as they offer exact time of cell phone usage in relation to the time of the accident. To recover damages including medical bills, lost wages, and pain and suffering, a victim will need to prove that the defendant failed to act reasonably and breached duty of care. A St. Louis car accident lawyer can help. Call (314) 361-4242 today for a free case evaluation with an experienced accident lawyer at The Hoffmann Law Firm, L.L.C.